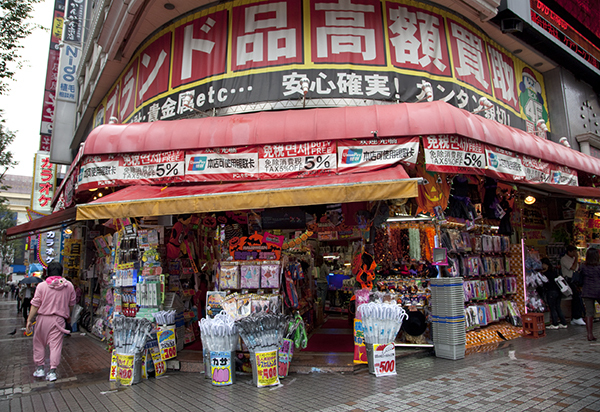 If you need anything while in Japan you’ll find it at one of the country’s Don Quijote stores. The discount chain offers a jumble of merchandise in its crowded, overflowing aisles. 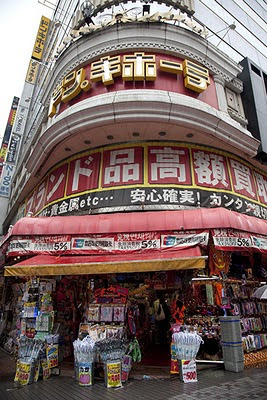 But make no mistake this is not Japan’s answer to K-Mart or the now defunct Woolworths. There seems to be no method to the madness in terms of how things are laid out. A jumble of electronics, costumes and adult accoutrements are displayed next to socks in the same aisle. And if you need an extra bag to pack the loot you’ve purchased this is a good place to go for inexpensive luggage. 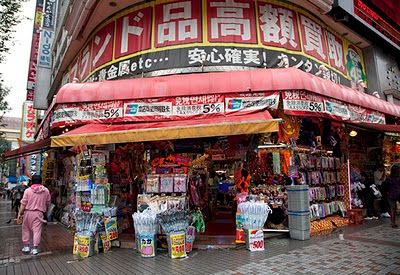 It’s also a good place to pick up novelty souvenirs and gifts. Some are open 24 hours. Signs are in Japanese so they can be hard to spot. 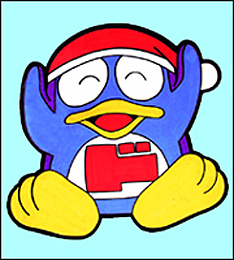 Look out for a blue cartoon bird which looks like the offspring of a penguin and duck. I like to peruse the shelves of the Don Quijote located on a busy corner in Shinjuku, Tokyo. Several stories high the loot it peddles starts outside on the pavement. The top floor is dedicated to designer goods. Random one off Channel, Gucci and Fendi bags, wallets and belts are locked behind glass cases giving it a pawnshop atmosphere. Do you have a shop where you live featuring just about everything under the sky? THat looks like an interesting Japanese shopping experience. I'm a little allergic to department store and big box shopping so any place that has an overwhelming jumble of stuff kind of gives me a headache. Looks good for a rummage! Very interesting Wendy. All the best for the holiday season to you! Fly Girl, I'm not big on big stores either but when traveling overseas it can be interesting to see what's there. Andrew, All the best to you as well!